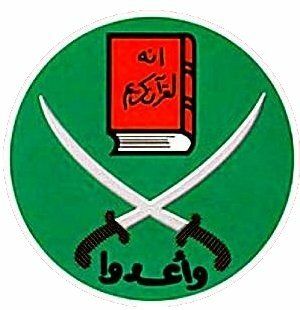 We (the United States) supported the Muslim Brotherhood when Mubarak was deposed in Egypt, only to learn the new ruler voted in by popular vote was as bad if not worse than the previous. The Egyptian military and millions of ordinary citizens forced the duly elected Morsi out of his post and into incarceration. I believe we will find he was removed for valid reasons and Egypt will be the better for his absence. There are armies and governments fully able to invest in freeing their neighbors and fellow Muslims. And, we should allow require them to do so before we spend any more citizens and money to play in another sandbox. Whatever the reason or justification given, going into or over Syria is tantamount to aiding Al Qaeda and other Muslim fanatics. We still need answers about what transpired, and the culpable ones for our shameful losses of people and standing in Libya. Run, don’t walk, our butts out of any intent to become involved in or above Syria. Syria: Yet Another Obama Mistake? It’s about Syria’s position on the map, and their ability to block or allow pipelines. All other issues are just distractions for public relations. It’s a little complicated but please bear with me. Links to articles about this at the bottom. Most of the media are not giving this all that much attention. Two pipelines are being planned. Syria’s position: they are allowing it. Syria’s position: they are blocking it for their Russian allies. Thanks for your comments and the links. They are interesting and shed more light on some of the reasons for the actions of different players. What they do not do is explain why we would want to waste our citizens and other resources on the mess when Russia, China, England and others have stepped back more than an arm’s length. By the way, the UN, in a situation such as this, is worthless as teats on a bore hog, as they are in most situations. Also seems to be the case. But i’m starting to think the reason for this is that the UN Security Council is fundamentally compromised by the strategic needs of its 5 members. It’s enforcement of perfectly good principles is ridiculously selective and inconsistent.